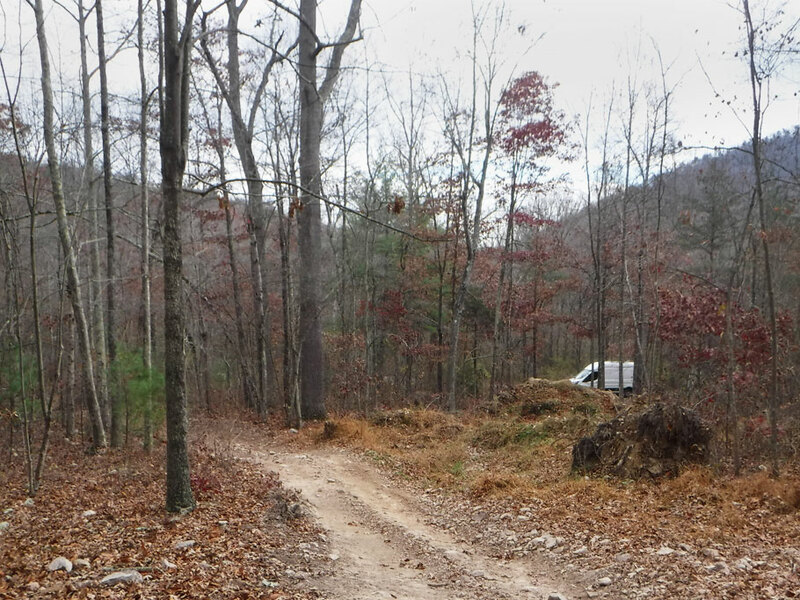 Ballena Blanca boondocking at Little Fort Campground in Virginia. During our van build we took a little break at Thanksgiving time to visit some family in DC and Pennsylvania. We had our bed frame installed, so we decided to make it a mini adventure and do some boondocking and sight seeing. We spent a very cold night in a crowded Virginia hunting camp that appeared to have permanent residents living in their RVs and ate our Thanksgiving dinner of Chili in a quieter, less inhabited, less armed campground the next day before heading on to spend a few days with the grandson, Gabriel, and his parents Jessica and Chris in DC. 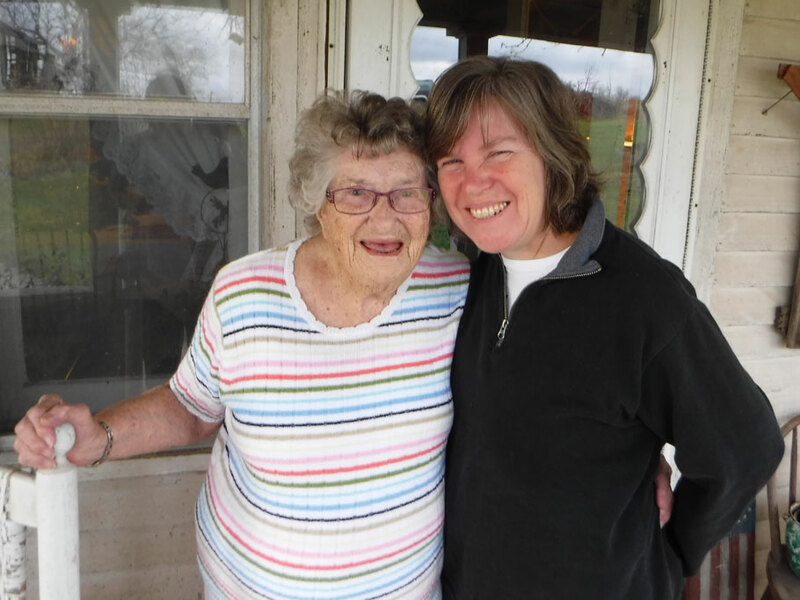 Our next stop was, Evertt, PA to see my Aunt Eunice and her family. Since it was a short hop from DC, we thought we’d throw some sightseeing into our mini adventure and ended up at Harpers Ferry National Historic Park in West Virginia. Harpers Ferry is part of the National Park Service. The NPS cares for and manages 417 areas across the country and in US territories including parks, monuments, battlefields, historic sites, recreation areas, trails, etc. Created 1916 by an act signed by Woodrow Wilson, the NPS, has been called â€œthe best idea we ever had. Absolutely American, absolutely democratic, they reflect us at our best rather than our worst.â€ And we sooooo agree. It has become one of goals for our land adventure across the US to visit as many National Parks as we can, to exerience the most of this â€œabsolutely Americanâ€ idea and also to squeeze every penny out of the $80 America the Beautiful park pass, which allows us free entry into all the parks, we purchased at Harpers Ferry. But really, as we continue to divide up every park visit out of our pass and count up its value, we are also getting a priceless experience. We are learning about this land and its history in a very personal way. We are exploring rare and amazing landscapes. We are digging down into the diversity of lives that have shaped who we are today. 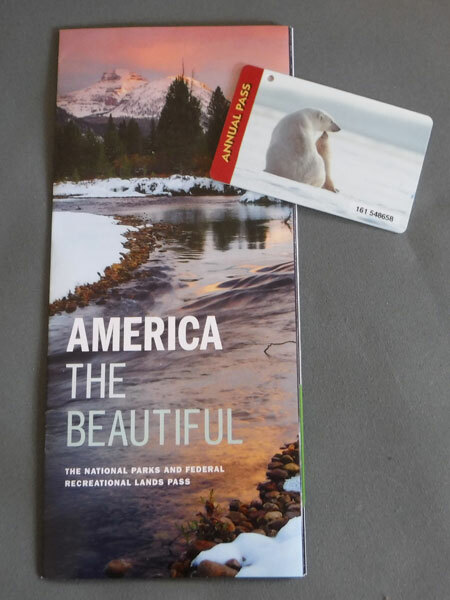 Our American the Beautiful National Park pass. Only $80. 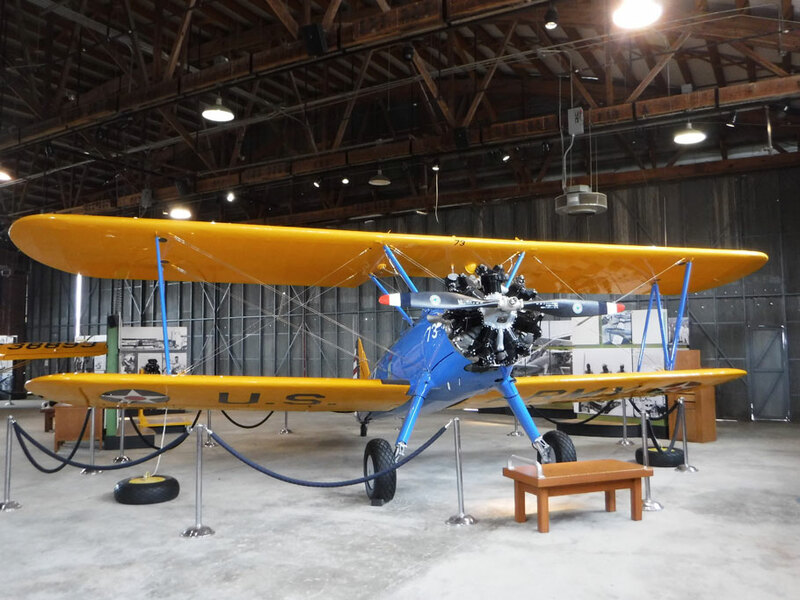 After we completed enough of our van build to hit the road, we made a couple of stops in Greenville, SC and Cabbagetown to see friends and family, before hitting our second NP in Tuskeegee, AL, the Tuskegee Airmen National Historic Site. 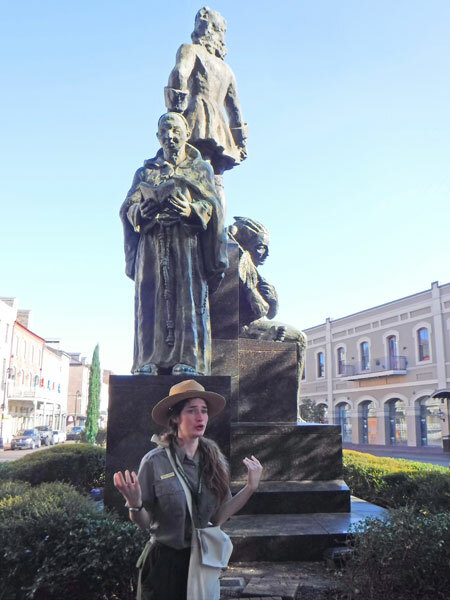 From Tuskegee we headed to New Orleans where we found a couple more NPS sites, the Jean Lafitte National Historical Park and Preserve French Quarter Visitor’s Center and Chalmette Battlefield. Harpers Ferry is a picturesque town in West Virginia on the banks of the Potomac River where it cuts through the Blue Ridge Mountains. George Washington chose the site for a US Armory. 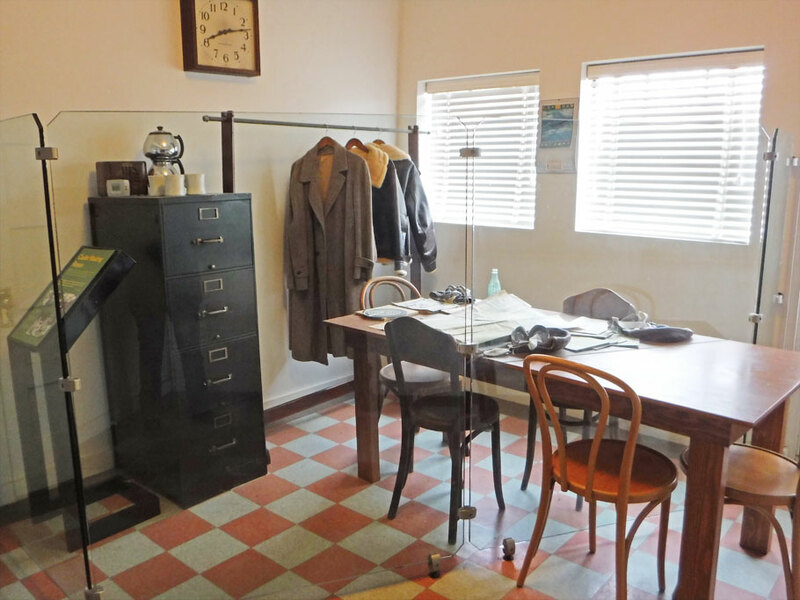 It was a home to innovative factories of the Industrial Revolution in the 1800s. Abolitionist John Brown attempted to spark an infamous slave rebellion in October 1859. And after the civil war Baptist missionaries founded Storer College at Harpers Ferry in order to educate students of all races and sexes. 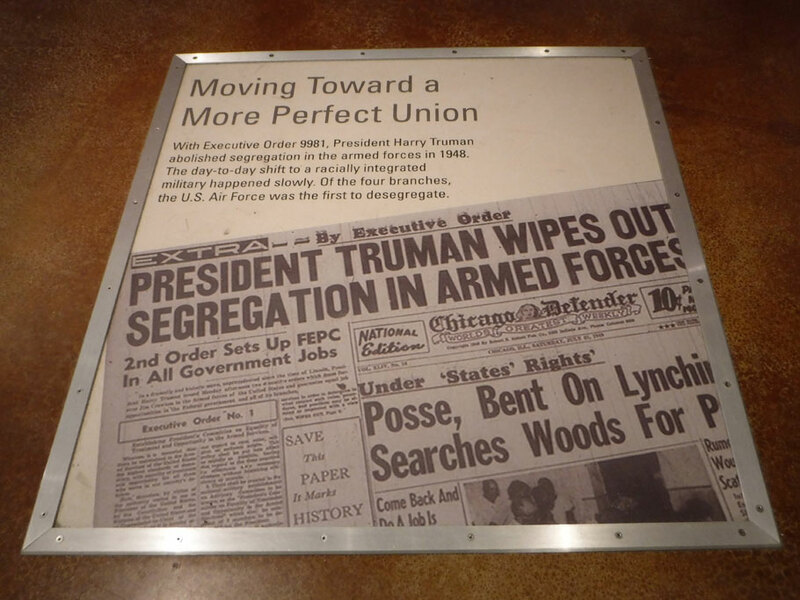 The college became the host of the Niagara Movement led by legendary civil rights figures such as W. E. B. Du Bois. 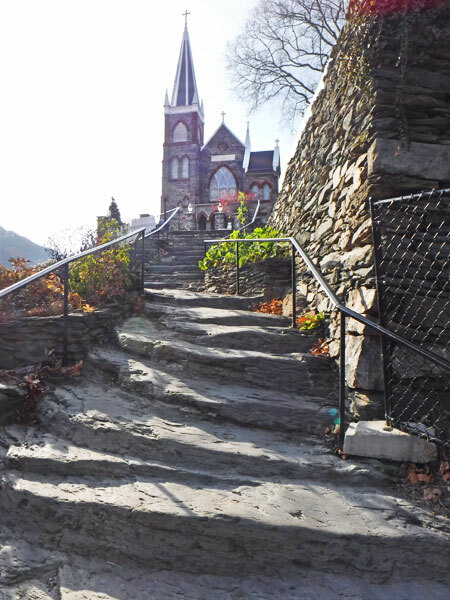 Stone steps to St. Peter’s Catholic Church. 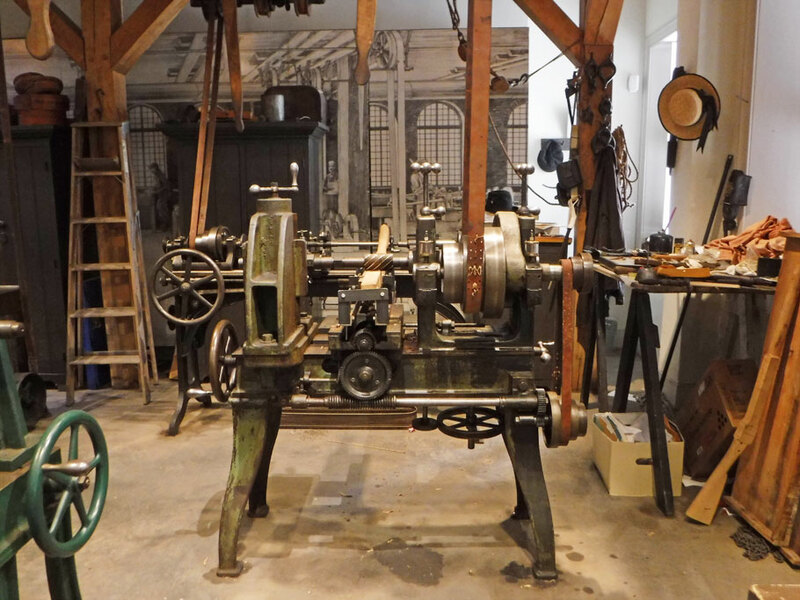 Industry Museum. This machine makes gun stocks. 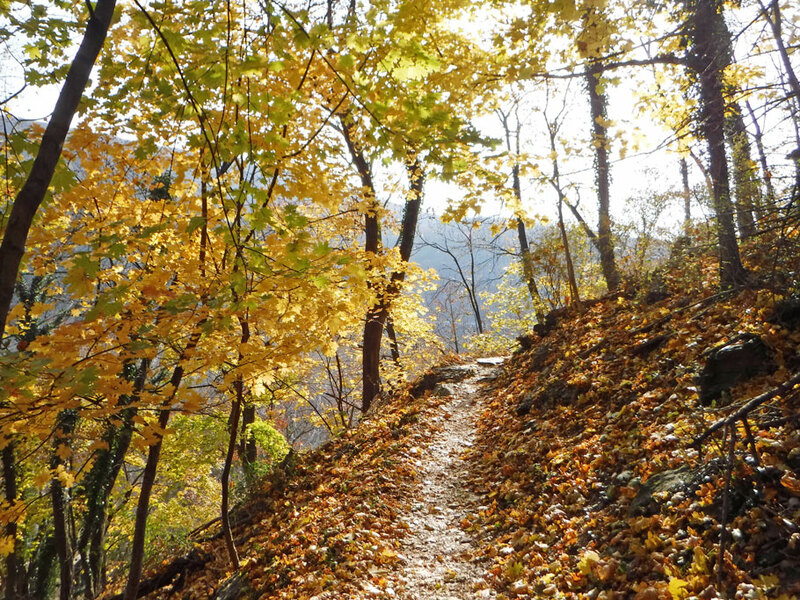 After a day in Harpers Ferry we hiked back to the visitor’s center on a portion of the Appalachian Trail. If you’d like to learn more about Harpers Ferry check the National Park Service site here. 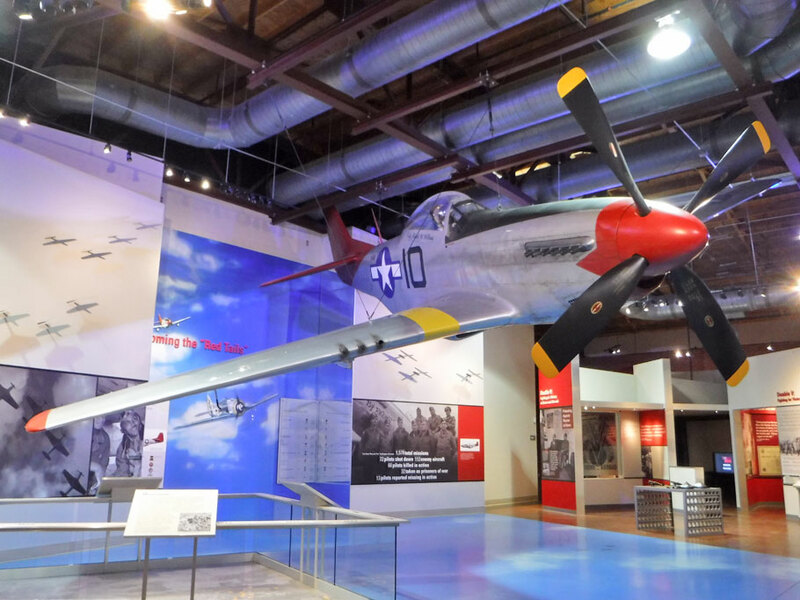 The Tuskegee Airmen were the first African American military pilots. 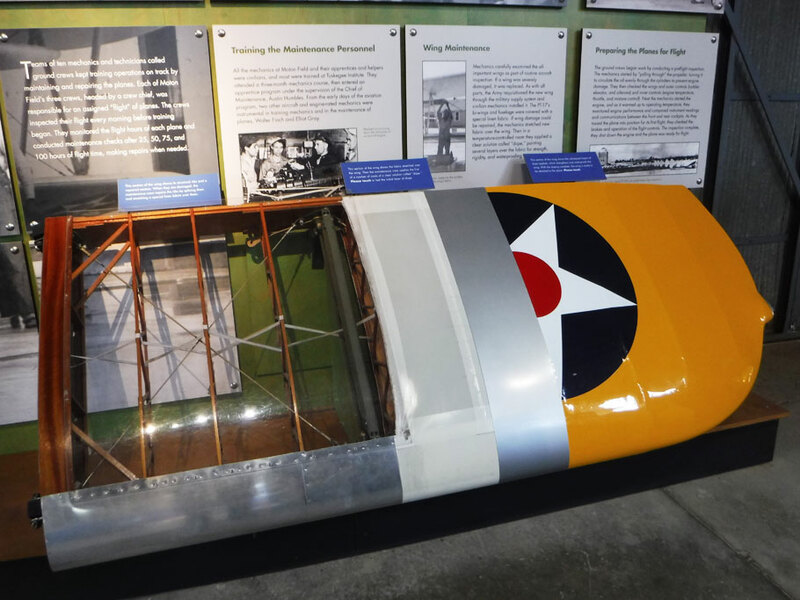 Resulting from growing international tensions, Congress passed the Civilian Pilot Training (CPT) Act in 1939 designed to turn out large numbers of pilots who could quickly move into military aviation if needed. 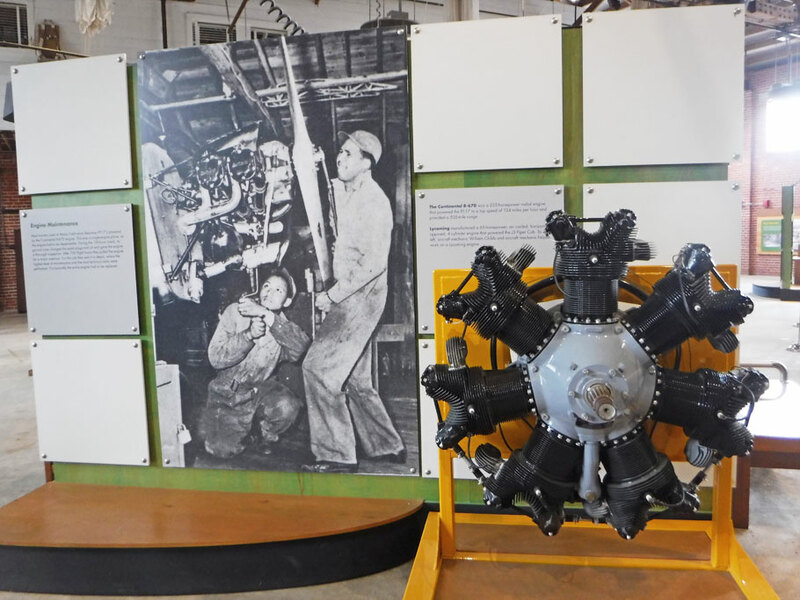 Through efforts of the National Airmenâ€™s Association of America (an organization of African American pilots), six black colleges, including Tuskegee Institute, became part of the training grounds for this program. 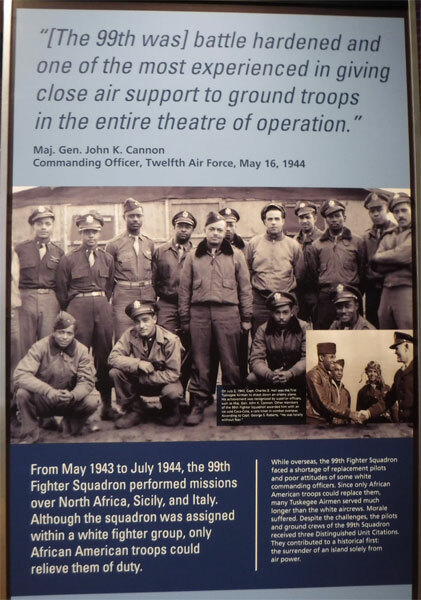 The 99th served as bomber escorts in Africa, Sicily, and Italy. The 99th didn’t lose a bomber in 180 missions. 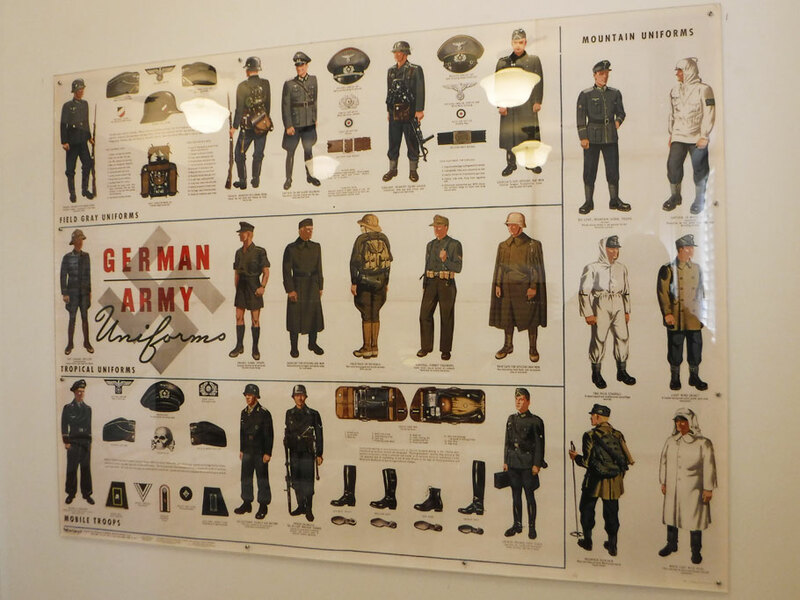 Poster designed to help recruits identify German soldiers. 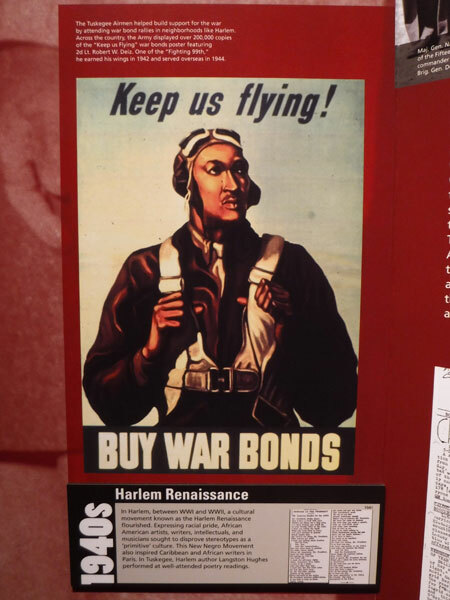 Despite living in an era of segregation and discrimination, many African American’s jumped at the oppurtunity to join the armed forces as pilots. Just as important as the pilots were the ground support crews. 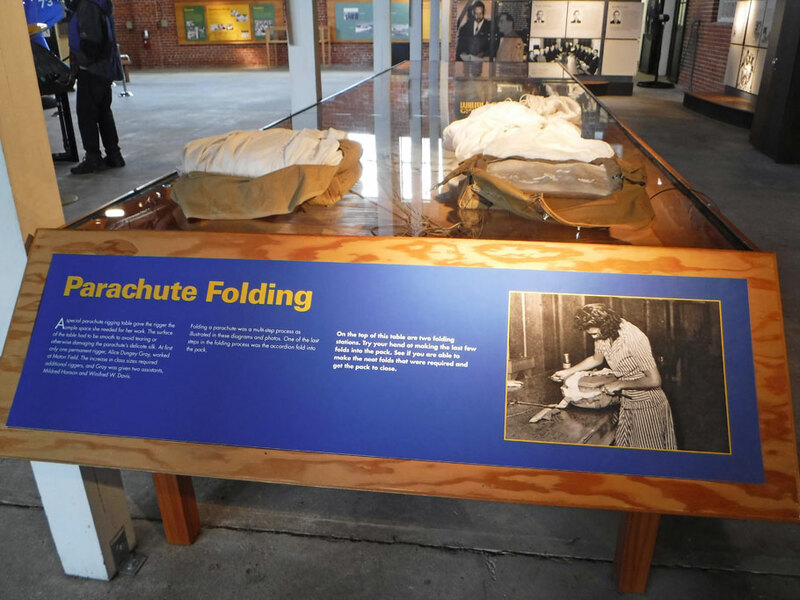 Civilians joined the effort with such things as parachute folding. Those wings may look like polished metal, but they are not. Starting from the left we see that the wood frame is covered with linen which is then painted with layers of waterproofing ‘dope’. Colors are painted on last. Some of the men and women of the Tuskegee legacy. 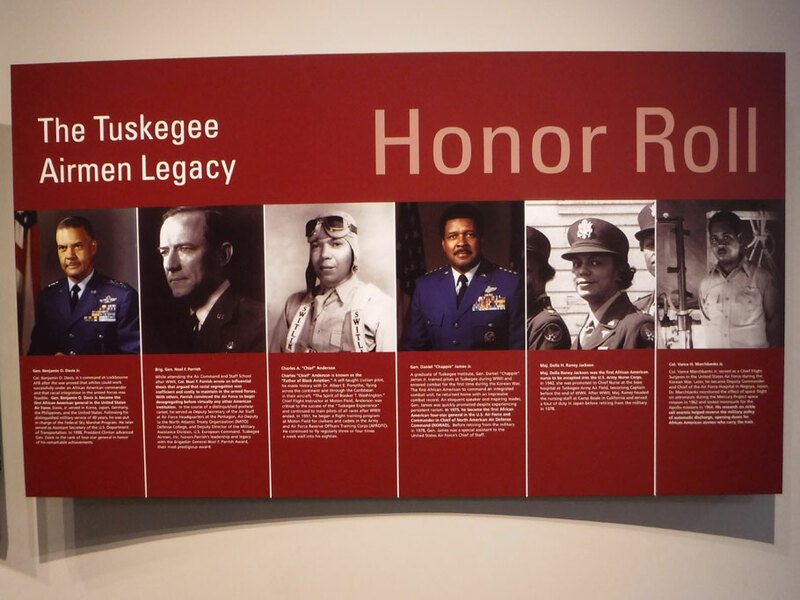 If you’d like to learn more about The Tuskegee Airmen check the National Park Service site here. 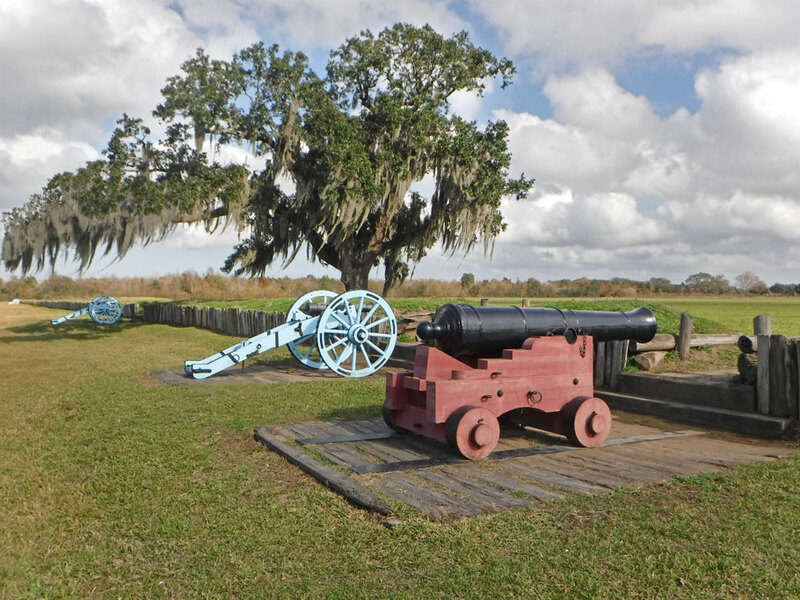 The Jean Lafitte National Historic Park and Preserve is actually 6 sites spread across the Mississippi River delta area of Louisianna, including the French Quarter Visitor’s Center and Chalmette Battlefield and National Cemetery which we visited. In the French Quarter we visited the Park Visitor Center and took a guided tour. Our new heros have become the National Park guides who lead us on tours making sure we are a little smarter at the end of each one. 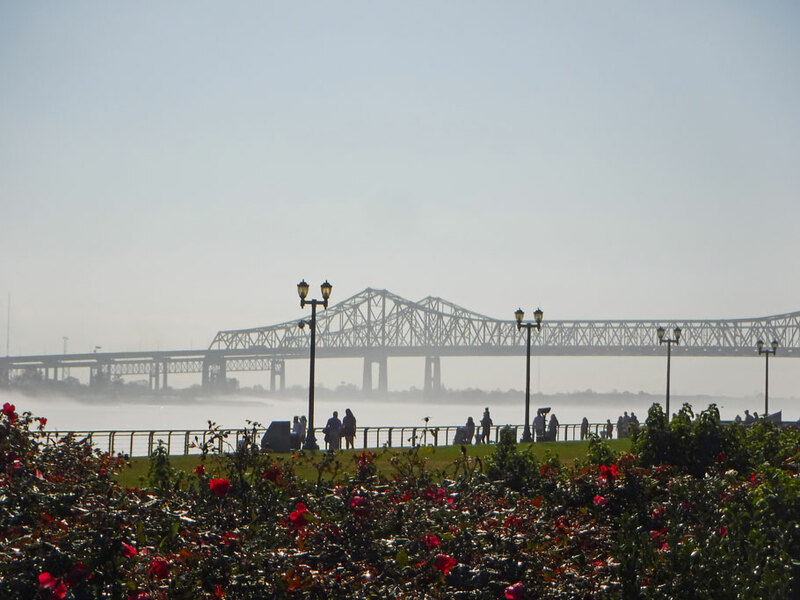 A fog rises on the Mississippi River. 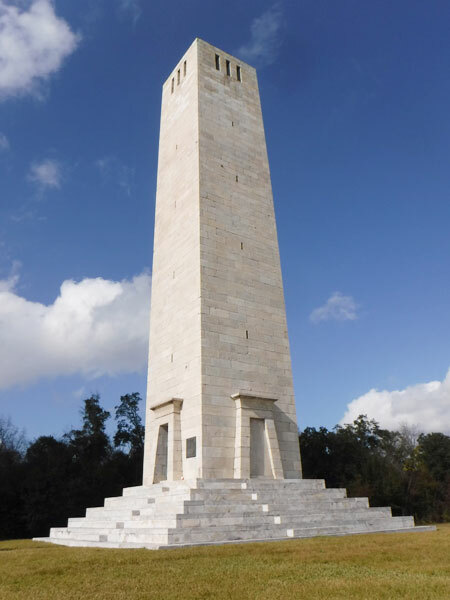 In the War of 1812 the British campaign to take control of the Louisiana Territory ended here. About 5,000 US troops and local volunteers including businessmen and some of Jean Lafitteâ€™s pirates, all led by General Andrew Jackson, held an excellent position in a ditch. 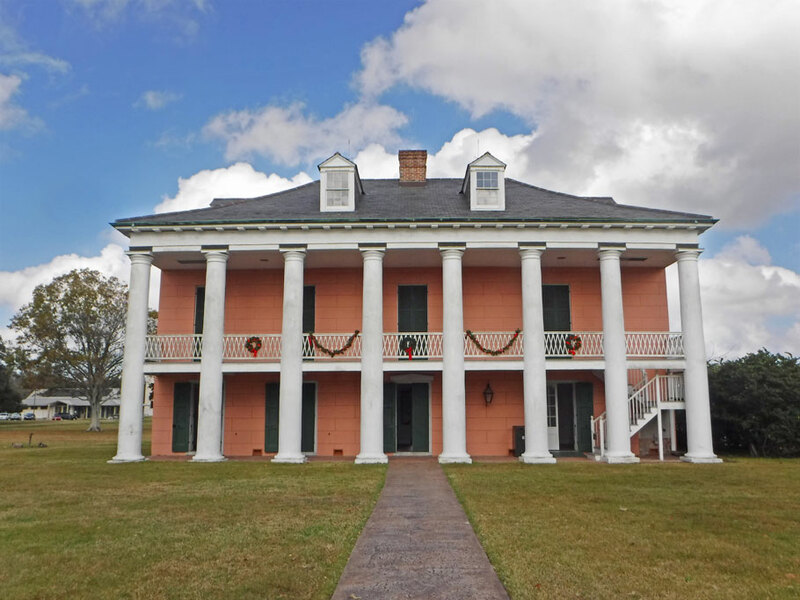 Their entrenchment stretched across the Chalmette plantation between the Mississippi River and a swamp. The Americans also had cannons on the opposite side of the Mississippi. The attempt to attack this battery failed when the Brits were swept downstream. Key British leaders were taken out, confusion reigned, and after a few hours there were 2,000 British casualties from the original force of 7,000. 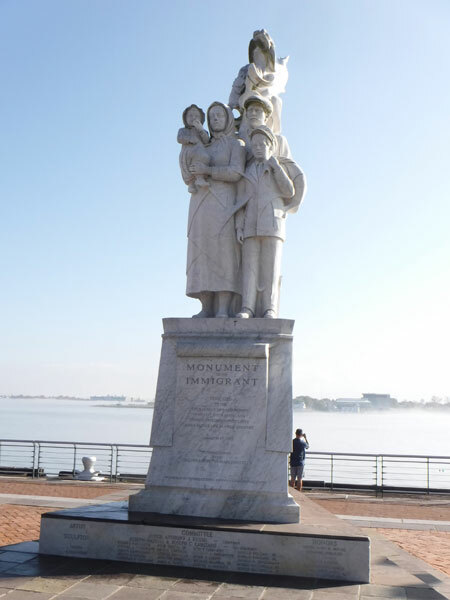 Chalmette Monument honoring the American victory at New Orleans. The American defense line at Chalmette. Malus-Beauregard House. 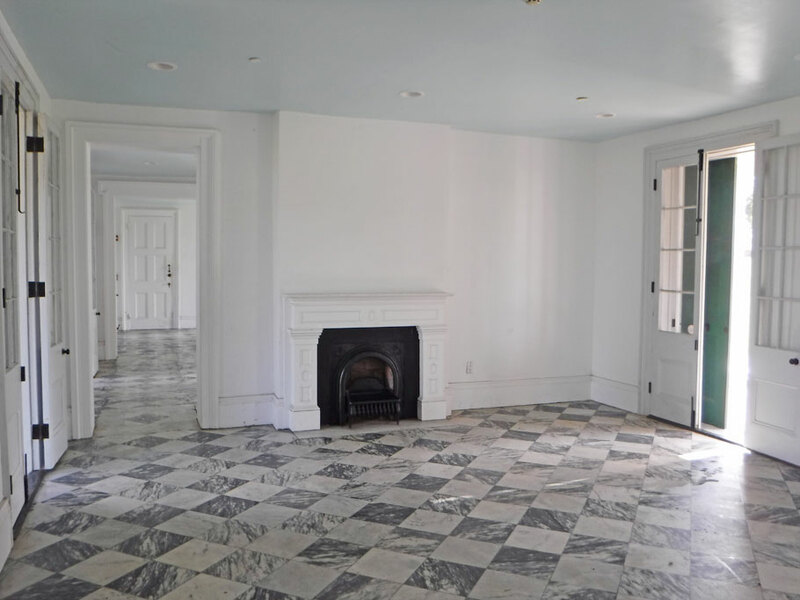 Build nearly 20 years after the Battle of New Orleans, the house is named for its first and last owners. 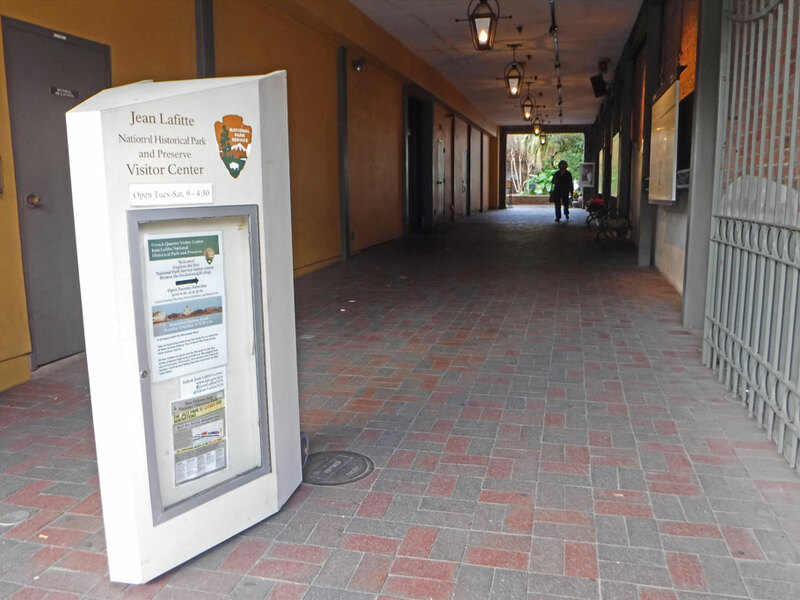 If you’d like to learn more about The Jean Lafitte Park and Preserve check the National Park Service site here. This entry was posted in Alabama, Louisiana, National Park Service, Travel On The Dirt, West Virginia and tagged Harpers Ferry, Jean Lafitte Park and Preserve, National Park, NPS, Tuskegee Airmen. Bookmark the permalink. 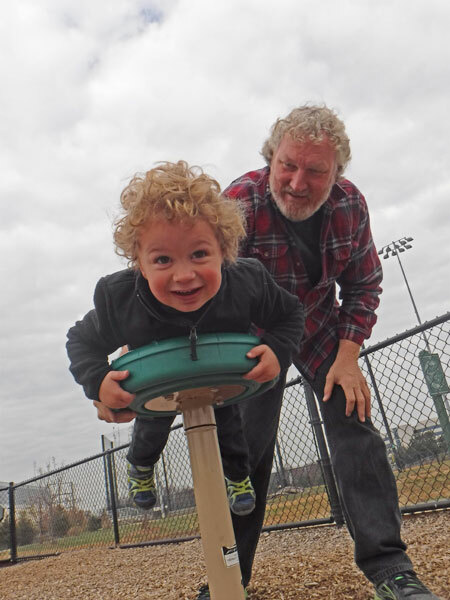 Again, love the pic of Greg and Gabriel.